The facelift avatar of the Hyundai Elantra was spotted recently and you can check out the spy pictures here. The spy shots seem to be of the US-spec car, considering it features orange indicators. Changes are quite extensive, majorly to the front and rear profiles. The headlamps have been reprofiled and the cascade grille is much larger as well. At the rear, the number plate has been moved from the boot lid to the rear bumper and the tail lamps are a lot sharper than before. Both bumpers have been redesigned to make them look a notch more aggressive and sporty. Hyundai Elantra prices start at Rs. 13.81 lakh for petrol and goes upto Rs. 18.91 lakh. The prices of Elantra diesel variants start at Rs. 15.12 lakh and the top-end diesel is priced at Rs. 20.04 lakh. Hyundai Elantra is available in 9 variants and 5 colours. Share your experiences with Elantra? The claimed ARAI mileage for the Hyundai Elantra petrol is 14 kmpl, and for the Hyundai Elantra diesel is 22 kmpl. Q. Which one is better between Hyundai Elantra & Honda Civic? Q. Which one is better, Skoda Octavia or Hyundai Elantra? Q. What is the disadvantages of Creta over Elantra? All the disadvantages of not being a Sedan exist. Q. I want to buy Verna. So please tell me which model is perfect, Anniversary Edition or SX option? Q. I am having Elantra 2012 model. All of a sudden last week morning when I started my car, the airbag light is on. I didn't get into an accident and car is working normally but the airbag light is on all the time. Tried to remove it through OBD II but the airbag light come back again. Q. In Hyundai i20 or Nexon XE petrol, which is good one, my budget is 6 lakh? Hyundai Elantra caters to the premium D-segment saloon buyers and is priced in the range of Rs 12.99-19.23 lakh (ex-showroom, Delhi). 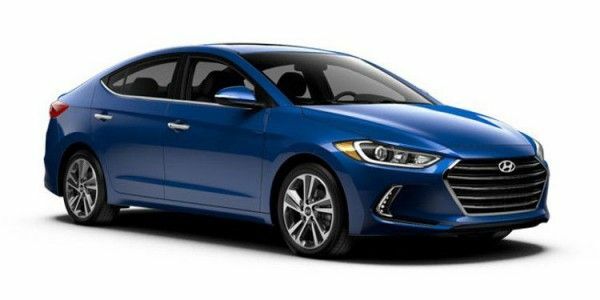 The styling is the highlight of the Hyundai Elantra and the features like the horizontally slatted grille, projector headlamps with DRLs, boomeranged fog lamps, and coupe-like roofline deserves special attention. Dual-tone interiors in the Elantra feels equally premium and Hyundai has equipped Elantra which class-leading features like six airbags, abs with EBD, electronic stability program, electric sunroof, touchscreen infotainment system with navigation, dual-zone automatic climate control, push-button start/stop system with keyless entry, reverse camera parking system, and electrically adjustable driver seat. The engine options include a 2.0-liter petrol engine (150PS/192Nm) and 1.6-liter diesel engine (126PS/259Nm), with both motors offering the option of manual as well as automatic transmission to the buyers. Hyundai Elantra is positioned against the likes of Toyota Corrola Altis and Skoda Octavia among others. The Fluidic design theme might’ve been toned down a notch, but there’s no denying that the Elantra is a proper head-turner. Take a look at one in the bright blue or maroon shade, and you’ll quickly get what me mean. In a sea of D-segment sedans that are as uptight and straight-cut as a salt-pepper haired uncle, the Elantra brings in a wave of freshness. The trademark Hyundai grille, the slender projector headlamps and those sweet looking LED tail lamps round the design off very well. If we had to crib, we’d say the wheels could’ve been a size larger, and diamond-cut. We blame Hyundai for spoiling us. The new Elantra’s interior would be in place in a German sedan. It’s that straightforward, and no fuss. It seems like quite an antithesis to the flowy exterior. That said, the quality and equipment levels on offer definitely seem befitting of the asking price . The top-spec SX (O) variant packs in ventilated seats (our favourite! ), a sunroof, a 7.0-inch touchscreen infotainment system with navigation, Android Auto and Apple CarPlay connectivity, and also a hands-free trunk release. Rear-seat space isn’t the best, but it isn’t cramped by any means either. If rear-seat is a priority, you’re better off looking at a Toyota Corolla Altis instead. Engines on offer include a 1.6-litre diesel and a 2.0-litre petrol. The diesel motor is the same unit that does duty under the bonnet of the Hyundai Verna, and the output isn’t any different at 128PS/260Nm either. We’d have loved to see the Tucson’s 2.0-litre Diesel engine with 190PS/400Nm under the bonnet of the diesel Elantra. The 2.0-litre petrol engine is shared with the SUV, though. It develops 152PS of power and 192Nm of torque, and is a smooth operator. Both engines can be had with a 6-speed manual transmission, or a 6-speed automatic. The Elantra can be had in a total of three variants - S, SX, and SX (O). Notably, the automatic transmission is available only in the top two variants. Hyundai clearly wants you to buy an automatic version of the car, which explains why manual variants have been given the short-end of the stick. We’d recommend you go all-out and pick the SX (O) variant as the added features justify the price hike. Considering the features and the price, it is among the most bang-for-buck sedans you can buy in this segment. Skoda Octavia: A rare blend of comfort, luxury and driving dynamics, the Skoda Octavia is a force to reckon with and enjoys an almost cult-like following in India. Its perception of poor after-sales service however, tends to work against it. Toyota Corolla: The most no-nonsense car of the segment. It gets the basics of reliability, space and ride quality spot on. Everything else is a bonus. If you can’t be bothered to research and just want a luxury sedan like yesterday, pick this one. It won’t go wrong. It’s like choosing vanilla, though. Hyundai’s Elantra is a swanky sedan that doesn’t stray too far away from the Rs 20 lakh mark. It’s a healthy blend of sensibility, wow-factor and performance. The Elantra is the jack of all trades in the segment. Also, possibly, the master of none. Hyundai Elantra Facelift: More Spy Photos! It is a good car however, I face a lot of issues which doesn't make sense and still facing that kind of issues time to time.